You'll know when you board "Coho Motion", a 34' SeaRay Amberjack, that this is going to be one fabulous experience. The 14' beam ensures plenty of space for up to 6 passengers to experience the thrill of fresh lake sport fishing in comfort and style. With bathroom facilities onboard. 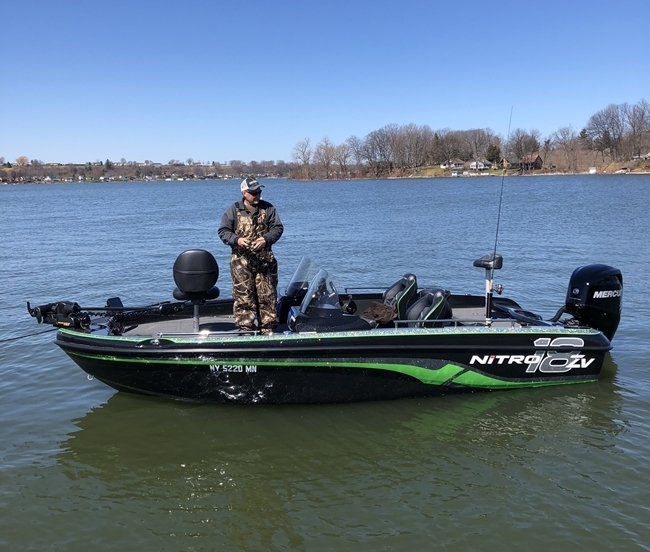 "Coho Motion" is one of Lake Ontario's finest, newest and safest watercraft and fully outfitted with Radar, Auto-Pilot and Fish Finder to increase successful outcomes. And you're sure to be comfortable with the heated/air-conditioned cabin no matter if it's a hot July or a cool September. 2018 19' Nitro. 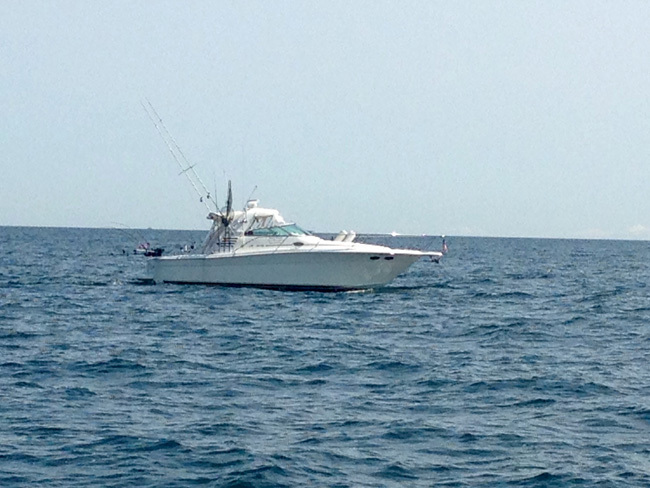 Fully equipped with all modern electronics and all tackle provided (or you can bring your favorite rod). We provide some of the finest gear available to bring home those big fresh water game fish. Scotty Downrigging, G-Loomis Rods, Okuma Reels, DreamWeaver Lures, Pro Troll Tackle, Garmin. Bass Pro Shop, and Nitro Pro Staff. We use the most recent electronics and safety equipment. One other thing FREE fish cleaning (you can have the heads if you want 'em). Call us at 585-704-8765 or e-mail us at cohomotion@yahoo.com.